Lara Heppell | Yoga Kula. My classes have a meditative focus, where breath awareness, mindful movement and flow are important, opening up space in both the body and mind, an invitation to unfold. 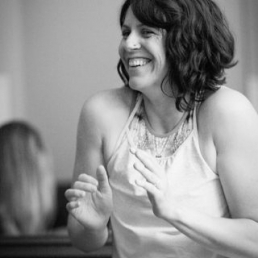 My classes aim to build inner strength, stamina and tone, with integrity, whilst at the same time inviting you to relax, let go and have fun. I have been practicing yoga for 20 years and teaching for twelve. Originally trained in dance, I discovered Dynamic yoga in 2000 and was hooked and went on to train as a Dynamic Yoga teacher with Godfrey Devereux, the founder of “Windfire Yoga”. In 2008 I travelled to India to study yoga, philosophy and Vedic chanting . I then went on to train in children’s yoga and Pre and Postnatal yoga and Well Woman Yoga therapy . My most influential teachers now are Uma Dinsmore Tuli, Judith Hanson Lasater and Angela Farmer. I’m also a registered Doula and Mizan abdominal massage therapist assisting women at the birth of their babies and with their womb health . More recently I’ve undertaken extensive training in Restorative yoga and Hypnoyoga for birth.